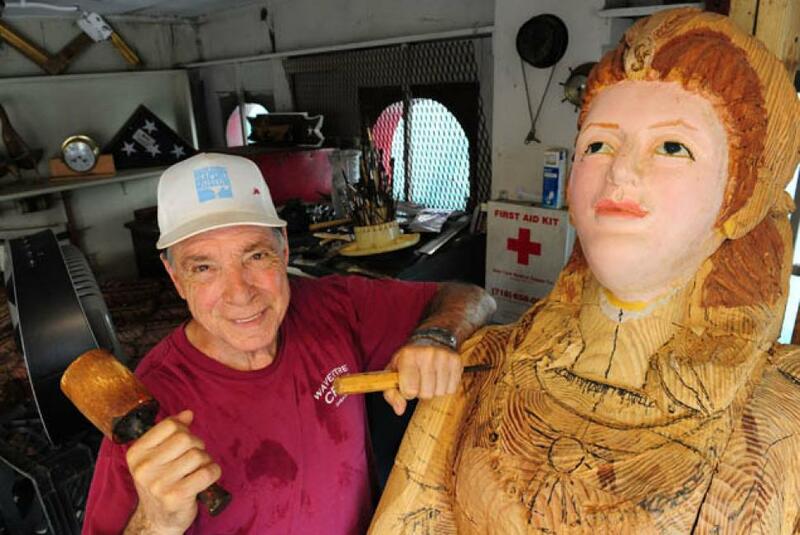 Over the weekend I found out about the passing of Sal Polisi, the woodcarver of Lower Manhattan, who passed away in late January at the age of 79. I have known Sal my whole life, as he was a friend of my dads and a frequent visitor of the store before Hurricane Sandy. Sal had a little makeshift woodcarving shop, located directly on Pier 17 until a few years ago when the Seaport moved him into a building, as they redo the South Street Seaport. A lot of the woodwork at the now defunct Pier 17 came from Sal. Things like signage and “wooden fish” at the restaurants, to the figurehead on the front of the Wavertree. A full obituary can be found on Mr. Polisi in the New York Times from back in January.